Vray is used for rendering in 3D architectural visualization. It is render engine that is capable of plugging in to various modeling software. Vray software is used for interior and architectural industry. the Vray enables the students and professionals to use lighting, camera, materials, and rendering solutions to the architectural imagery. The Vray course in Mumbai is designed to help the professionals and students to master the software that is in great demand from the clients . The course will take a student through step by step approach to the architectural projects , rendered with vrays as per the industry standard . We at pramodz computers have created the world class infrastructure for the training in Vray course in Mumbai for help professionals and students to learn the cutting edge technology and software . To help the students to gradually master the course , the Vray course in Mumbai has been divided into several modules . Each module has several topics and skills to practice and master . The module one teaches tools and features of the Vray , basic rendering with Vray , and Vray image solving options . In module two , the Vray course teaches critical Vray concepts . Next key lighting tools are taught to the students . Gradually in next modules , all aspects of the Vray course are imparted to the professionals and students . 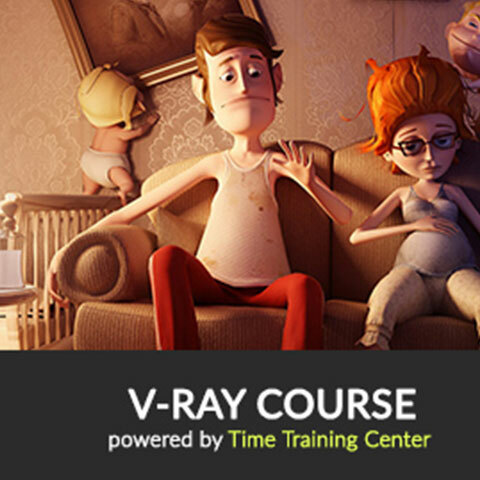 Our stress is on the hands on experience and practical aspect of the Vray course in Mumbai . The experts from the industry who have long experience in the use of vrays are selected to impart the knowledge to the students . The progress of each student is monitored by experts to iron out any weakness and shortfalls and slowly make them confident to deal with all aspects of the Vray course . The well equipped studio , lab and class room at our institute for Vray course in Mumbai, helps the students to get endless experience on project under the expert guidance . The Vray course in Mumbai is catering to the high demand of Vray expert from media , entertainment , television and automotive and other such industries. Vray course will lift the career of interior designers, architects , engineers and designers .